Erik Pedersen, 34, of Patchogue, was transported to Stony Brook University Hospital with a serious head injury, officials say. SCPD are investigating a vehicle crash that injured a man in Patchogue. Patchogue, NY - October 29, 2018 - Suffolk County Police Fifth Squad detectives are investigating a motor vehicle crash that seriously injured a man in Patchogue on Saturday, October 27. 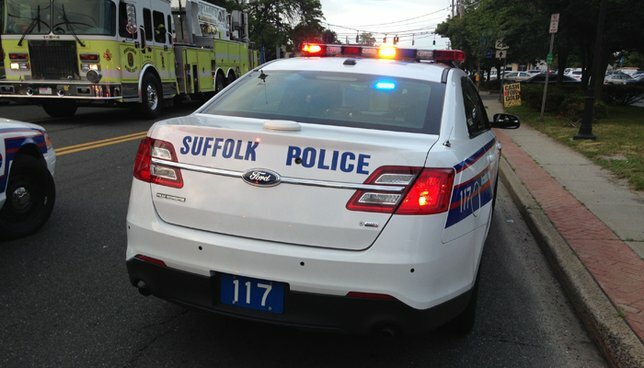 Erik Pedersen was operating a 1994 Chevrolet pickup southbound on Waverly Avenue when he was struck by a 2005 Volvo, being driven by Nancy Kelly, making a left turn onto Gateway Boulevard tonight at approximately 5:35 p.m.
Pedersen, 34, of Patchogue, was transported to Stony Brook University Hospital with a serious head injury. Nancy Kelly, 59, and her passenger Lawrence Kelly, 62, both of Bayport, were transported to Stony Brook University Hospital with minor injuries. Anyone with information can contact the Fifth Squad at (631) 854-8552. Subject: LongIsland.com - Your Name sent you Article details of "Police: Man Seriously Injured in Patchogue Motor Vehicle Crash"